City officials expect to announce at 3 p.m. Thursday whether Fourth of July festivities will be postponed because of stormy weather. 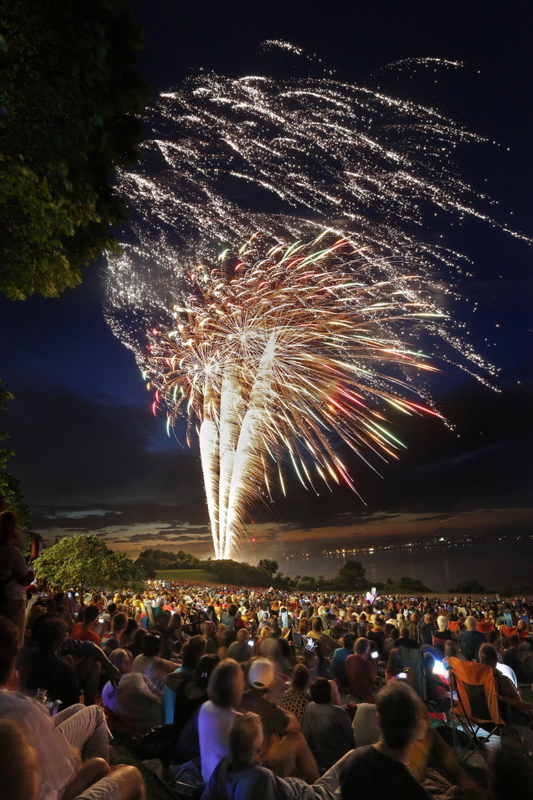 Portland will begin restricting parking and closing boat ramps Thursday in preparation for the Fourth of July festivities on the Eastern Promenade, even as city officials consider whether to reschedule Friday’s fireworks display because of potentially stormy weather. City officials said Wednesday that they are closely watching Tropical Storm Arthur’s track along the Eastern Seaboard and plan to announce at 3 p.m. Thursday whether Friday’s events will continue as planned or be rescheduled for Saturday. The opening ceremony for the city’s annual “Stars and Stripes Spectacular” is currently set for 7 p.m. Friday at the Eastern Promenade. At 7:40 p.m., the Portland Symphony Orchestra will begin its “Patriotic Pops” concert, which will continue through the fireworks show. Fireworks are scheduled to begin at 9:20 p.m. Friday unless postponed for a day. • Cutter Street and all parking lots on Cutter will close from 10 p.m. Thursday to 6:30 a.m. July 5 (or July 6, in case of a rain delay). • East End boat launch will close from 10 p.m. Thursday to 6:30 a.m. July 5 (or July 6, in case of a rain delay). At 4 p.m. Friday, the city will shut off traffic to Munjoy Hill. Handicapped parking will be available on a first-come, first-served basis until 6 p.m. Friday along Cutter Street and Fort Allen Park. Access to Cutter Street for handicapped parking will be from Fore Street. For more information on Portland’s holiday events – including weather-related updates to the schedule – go to www.july4thportland.org.